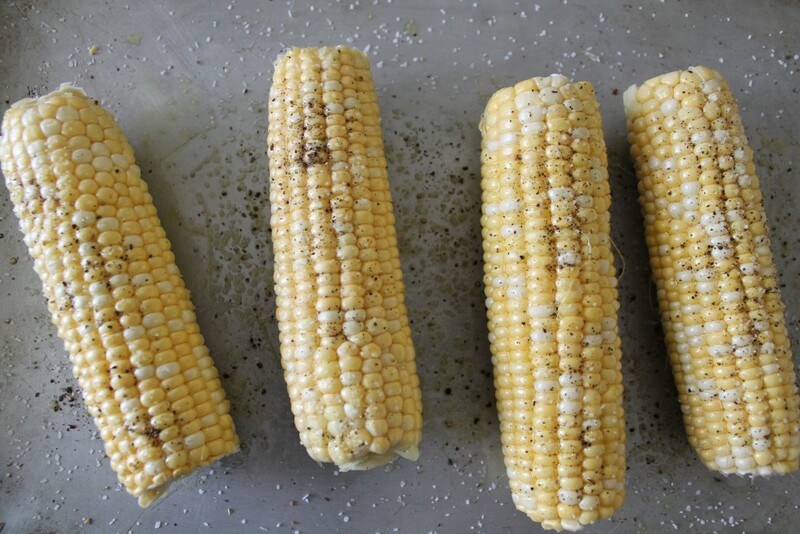 Rub each ear of corn with olive oil. Sprinkle with salt and pepper. Roast in a preheated 425 degree oven for about 45 minutes. Rotate ears for even roasting.